This is the fourth book in the series by Lucinda Riley and one I have had waiting to be read for almost a year. My reasoning behind it was if I didn’t read it then I would not be upset when I finished it because I knew it was going to be a fascinating and wonderful read that would keep me hooked. Of course I have read it and all the reasons behind not reading it stay – I am somewhat perverse in my logic but I wanted to dedicate the time to be immersed in the story. Here we are with CeCe, she is the fourth of the sisters that Pa Salt adopted. We know a lot about her from The Shadow Sister, the third novel as she was very much keeping Star in her shadow and they had developed a bond for a very early age which did not look it was ever going to be broken. But whilst CeCe might think it was broken, for Star the bond had just changed. I was annoyed by CeCe’s behaviour in the previous three novels and I was disheartened by her almost childlike behaviour despite them being young adults. I approached her story with trepidation. Cece stops over in Thailand where she has been before and lives very simply and the life she feels most comfortable with. She encounters Ace who appears to be a reflection of what she is feeling and hiding from and a friendship blossoms. Ace is the person who helps CeCe with one part of the clue that Pa Salt has left behind that of the woman pioneer – Kitty McBride. Back to the past, Kitty McBride was the daughter or a clergyman in Scotland and when the opportunity for her to travel to Australia comes up, Kitty thinks this is the best way to escape the knowledge of her father’s less than religious actions. We travel with Kitty across the oceans and land just as we do with CeCe in the present day story. Kitty arrives in Adelaide and she encounters the Mercer family and twin sons, Drummond and Andrew. Their wealth is built on the pearl fisheries sand the cattle stations further out in the outback. Kitty falls for one of the brothers and finds that she won’t be returning to Scotland and the family she left behind but starting a new one in Broome. CeCe finally arrives in Australia, knowing little of what she has left behind in London or Thailand and carries on her rather lonely journey to find out who she is and where she came from. Drawn through clues and a sense of something else CeCe finds herself in the outback, the red plains of the desert, the searing heat and vastness and the Aborigines who were here a long time before even Kitty McBride arrived let alone CeCe. Can CeCe find her past and in turn see where her future might lie? As her other sisters have started to scatter around the world has CeCe found the place she can call home? The transition throughout the book about CeCe reading about Kitty McBride and the reading Kitty McBrides narrative was as seamless as it always is. Of course leaving you wanting more but at the right point to consolidate what you know as you weave yourself within the story. I learnt so much, I was ignorant to the pearling industry and the role it played in Western Australia and how diving evolved to capture something so rare and beautiful that the original discoverer was held almost to ransom by the pearling master. The aboriginal aspect of the story played an important role within the plot of the story and I was fascinated by the extreme heat, the landscape and the lives that these people live. I may never get to Australia in my life but I feel by reading this book I have got very close to experiencing such a visit. I was never keen on CeCe from the very beginning of this series, there was something about her that grated, but I think that is because I did not know the reasons behind her and her actions. I wrongly judged when I did not know the facts. I have learnt with the Pearl Sister and I have learnt to admire CeCe for the decisions she made to move her life forward. As the story of CeCe came to its conclusion the trepidation has turned to excitement as her life has now started and she has finally found her place. If you want to get stuck into a series of books that knocks spots off even the best and most well written television series – then this series of books is for you. Your imagination is your television screen as it will bring to life all of Lucinda’s work and transport you completely. 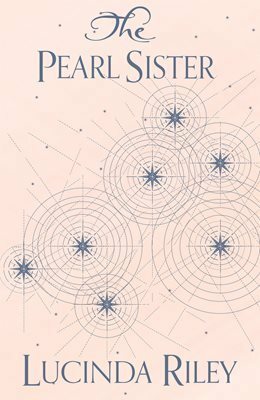 The Pearl Sister along with The Seven Sisters, The Storm Sister and The Shadow Sister is out now,. The fifth book in the series The Moon Sister is published on 1st November 2018. I received a copy of this book for an honest review, and any followers and regular readers to my blog will know that I am a fan of Lucinda Riley and have also met her. All my reviews of her books are honest and genuine and the only thing I get is the joy from spreading the word about this author. I think IO am going to start reading these books. You are the 3rd person to recommend them. Lots of lovely reading to look forwards to. I envy you starting out reading them. You have so much joy to come. I enjoyed this book too and loved the Australian setting. Like you, I hadn’t been very keen on CeCe in the earlier books, but this book helped me to understand and sympathise with her.